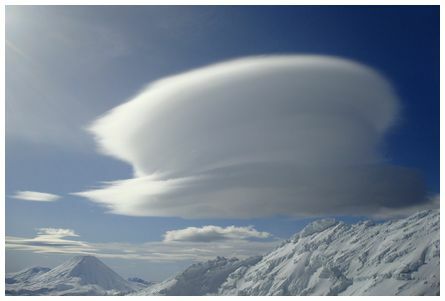 'This photo was taken through the kitchen window, which was covered by a thin film of condensation. Locally reduced the luminisity of the moon to show the detail, without losing the colour of the rainbow. 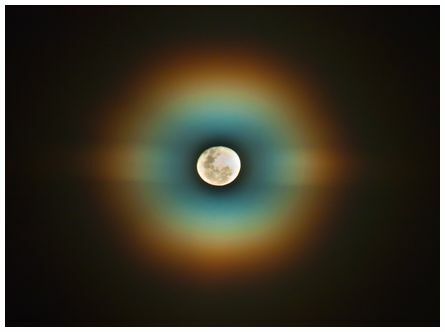 Taken on Canon 450D, F9.0, 0.6s, ISO400, 135mm on 17 July 2011' wrote Piet. 'Hi James. 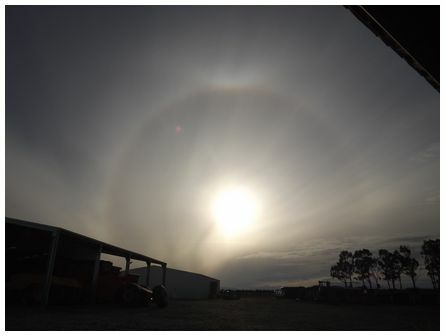 We drove from Auckland to Hamilton on Sunday 17 July 2011 leaving a beautiful sunny afternoon in Auckland. We crossed the Waikato River at Rangiriri and came down the western side of the river, impressed with the high water levels. 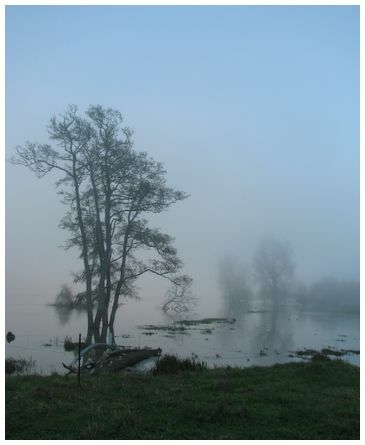 Where the river takes a 'dog leg' near Taupiri we were amazed to see fog over the river, and less than 10 kilometres further towards Ngaruawahia we were in the thick of it; the afternoon light, the flooded river and the fog gave for a beautiful sight. Taken at around 16:30 with a Canon powershot S5IS' wrote Vicki. 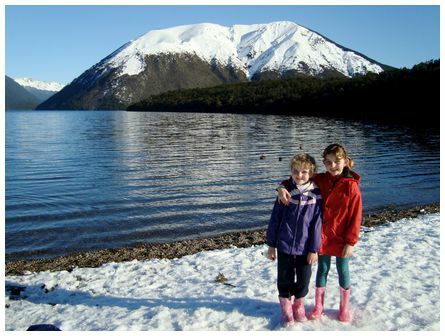 'Hi James, our family was at Lake Rotoiti on Sunday 18 July 2011 enjoying the snow, got this fantastic picture of Mt Robert and the lake with my two oldest girls, Kaitlyn and Hannah' wrote Ruth. 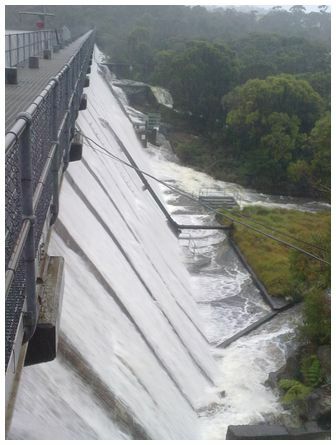 'Sydney's Manly Dam overtopping, taken at 14:50 on 22 July 2011. Days of endless rain from the large stationary low-pressure system in the Tasman Sea filled the dam to overtopping, despite relief valves automatically opening. The extra water flowing into Manly Creek blocked vehicle access to/from my workplace for the Friday afternoon/evening. 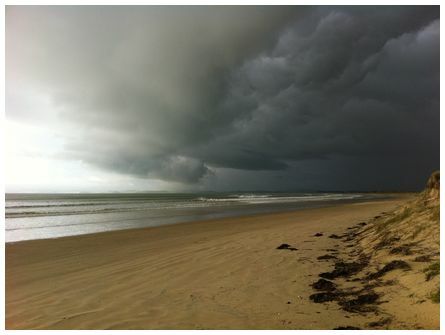 More rain expected for the rest of the weekend. Photo taken on Nokia 5800 phone camera' wrote Michael.